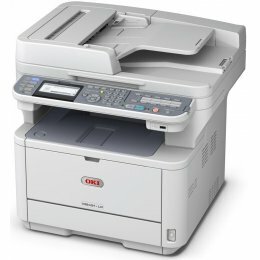 The Okidata MB-280 MFP Printer combines mono printing and copying, color/mono scanning, analog faxing, and scan-to capabilities into one machine. 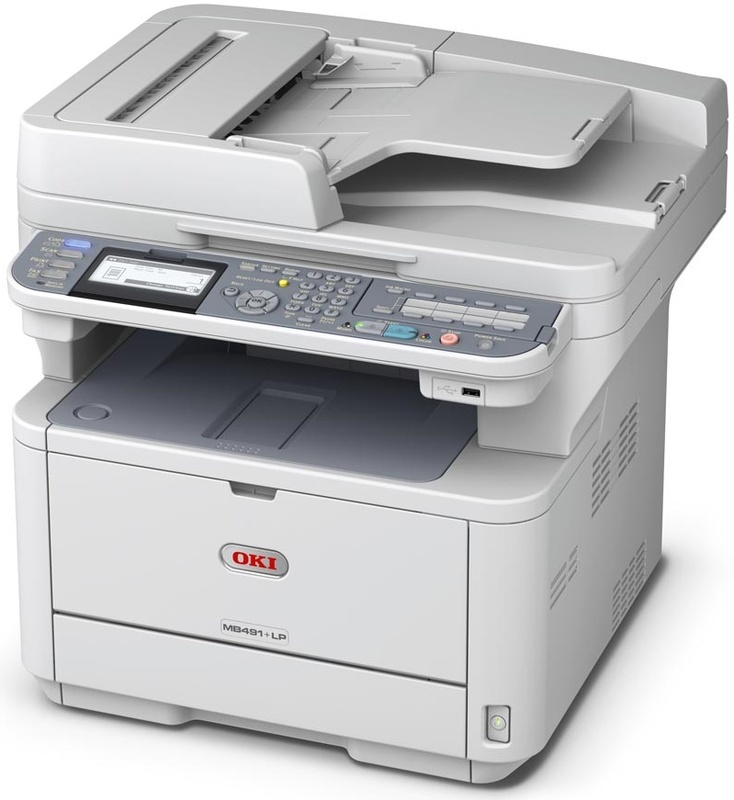 The Okidata MB 280 is a compact MFP that gives you access to advanced features normally reserved for more costly equipment. 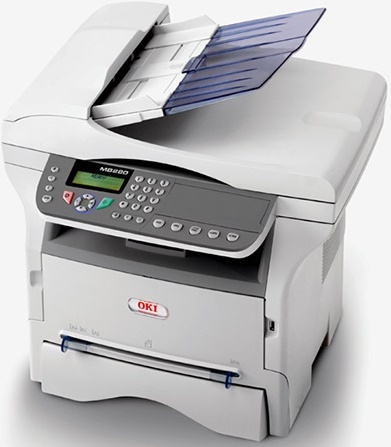 With the Okidata MB280 MFP you will receive sharp print and copy output. With the MB200 MFP Series, you can print, copy and scan, with available analog fax and network connectivity. The MB200 MFP Series from OKI Printing Solutions combines mono printing and copying, color/mono scanning, analog faxing, and scan-to capabilities. These affordable compact MFPs let you access advanced features normally reserved for more costly equipment. With the MB200 MFP Series simple, user-friendly operation and clear, sharp print and copy output, you can produce professional-looking documents with ease. Have a document you need to scan quickly and transport as a digital file? Simply insert a USB memory stick into the USB port conveniently located on the front of all MB200 MFP Series models. Scan it as a black & white or color PDF, save it to the memory stick, and youre on your way in seconds. 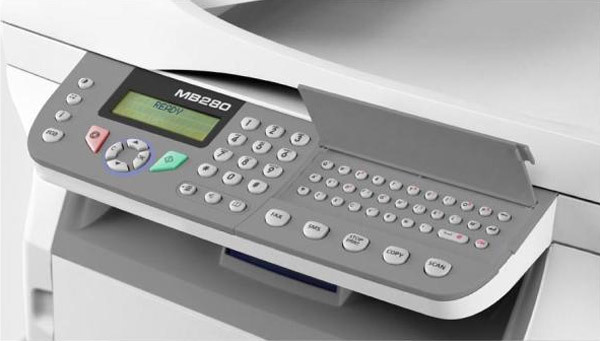 The MB290 MFP also lets you print select file formats directly from the USB Flash drive, without the need for a PC. Among the utilities that come standard with all three models in the MB200 MFP Series is PaperPort by Nuance. This industry-leading, award-winning software will enable you to easily organize your scanned files, further enhancing your productivity. With its intuitive, thumbnail-based interface, PaperPort lets you take any scanned document, save it in a PDF format, and quickly make it available for archiving or sharing. Sharing the functions of your MFP is a key to increased productivity. The MB290 model is network-ready out of the box. And an optional interface for all three models enables your workgroup to print, scan or PC-fax wirelessly from anywhere in the office. The MB200 MFP Series does all you want and more. In addition, these MFPs are designed to make changing their one-piece, cost-efficient cartridge"including a high-capacity 5,500-page6 version"quick, clean and easy. Your investment just keeps looking better and better. What is Tray Capacity? Tray Capacity or Paper Capacity is the maximum number of pages that can be stored in the printer before you have to refill it. Tight on office space? Consider buying a machine with networking capabilities which will allow multiple users to use one printer. Most printers have a paper-out detector. On most dot matrix printers it is a photo diode. If form-fed paper is not aligned correctly (usually on the left side) the diode won't see it.